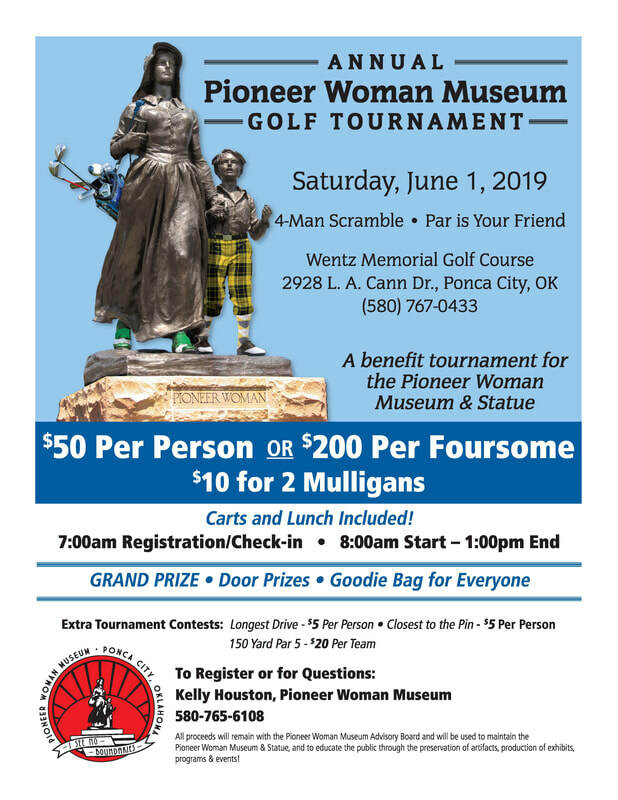 All proceeds from this annual fundraiser will be used to maintain the Pioneer Woman Museum & Statue and to educate the public through the preservation of artifacts, production of exhibits, programs & events. 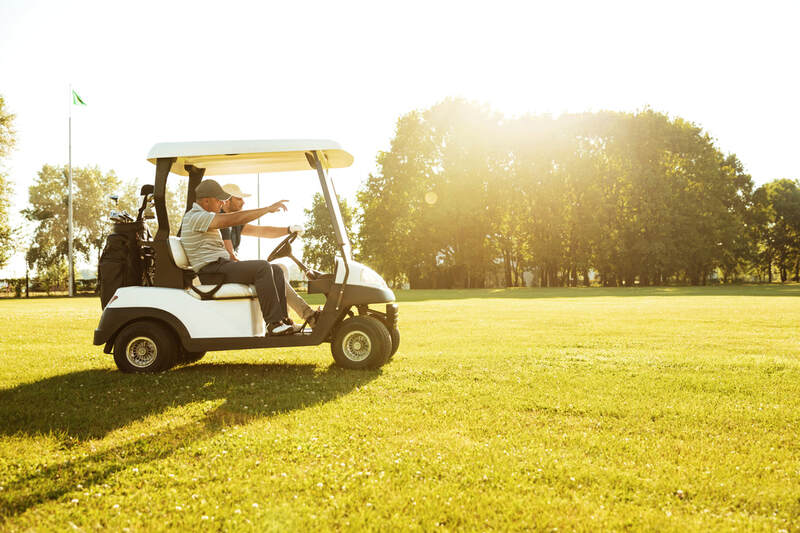 Traditionally held in June, this annual fundraiser at Wentz Memorial Golf Course in Ponca City is one you won't want to miss. 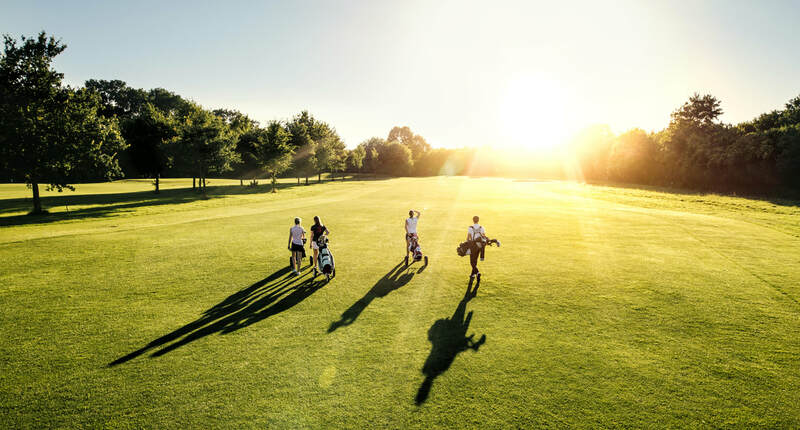 With 125 acres of rolling terrain in beautifully scenic northern Oklahoma, the Wentz Memorial Golf Course is a highly rated course enjoyed by all. Registration is $50 per person or $200 per 4-man team and includes an 18-hole four-man scramble, golf cart, green fees and lunch. Two mulligans can be purchased for an additional $10. There will be a grand prize, door prizes, and every registrant will be provided with a goodie bag. 2. Ball may be improved in fairways with the club head ONLY. 3. No relief on the greens. 4. All hazards e.g. woods, water & creeks are played as lateral hazards; 1 stroke penalty & drop way from the green in the line of flight. 5. One minute limit selecting ball to be played or looking for lost balls. 6. Exchange score cards and sign before they are turned in. 7. Men play off of white tees; women play off of red tees. 8. USGA golf rules apply to all other concerns. 9. Mulligans can be used anywhere. 10. Tournament Marshalls' rulings are final. 11. No profiteering or sales for profit unless pre-approved by event committee. 12. Par is your friend: maximum score for any hole is par. 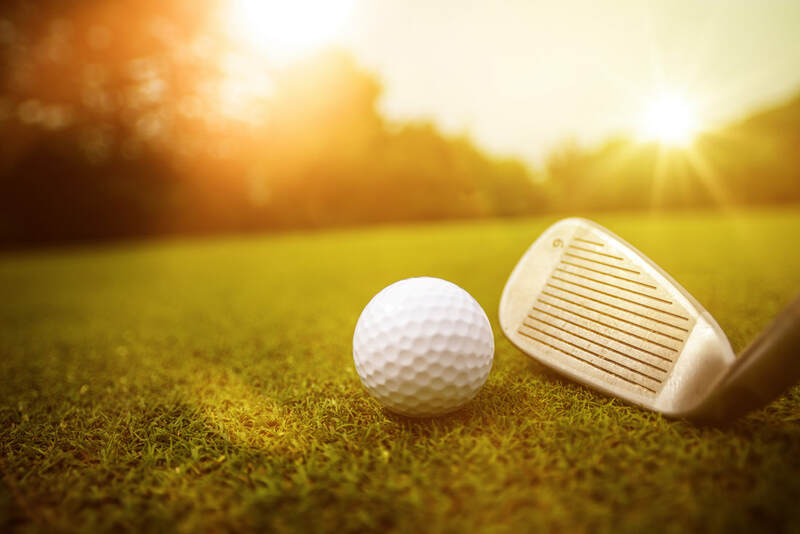 Would you like to receive notification when ticket sales go live and sponsorship opportunities are available for the 2020 Golf Tournament?